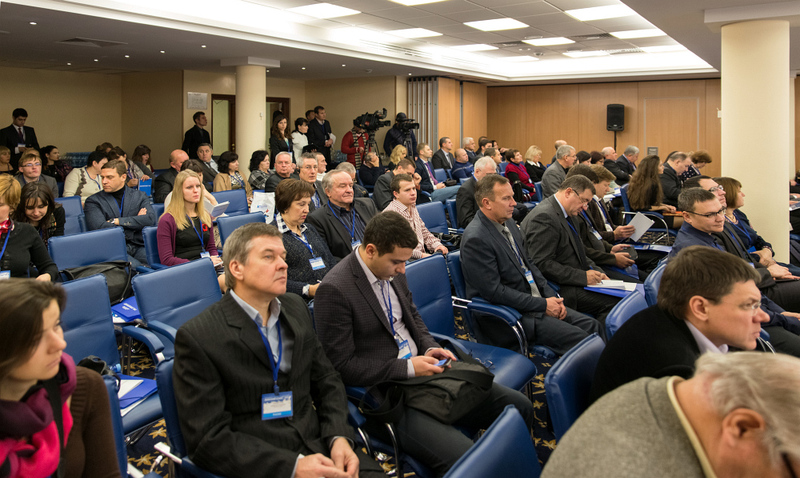 Never before, since the DAIRY BUSINESS Conference was launched, Ukrainian dairy industry has not been operating under such difficult conditions, as it is doing now. 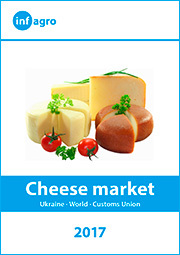 The geopolitical crisis, fueled by Russia, as well as economic problems that Ukraine has not experienced since the 90s, made negative impact on both the country’s economy and dairy business. 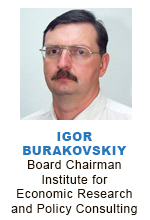 Of course, the dependence on the Russian market has also contributed to the range of the industry problems. 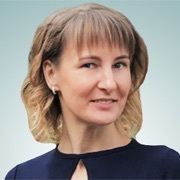 Nevertheless, the development of the dairy industry as a whole can be considered as quite successful: the decline in milk production has been terminated, and during last years it demonstrates a modest but steady growth. 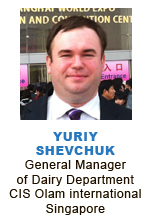 There is a clear tendency to increase of high quality milk supply. 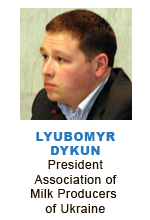 There are no problems in dairy processing sector, although the relationship among milk producers, processors and retailers are still quite complicated. 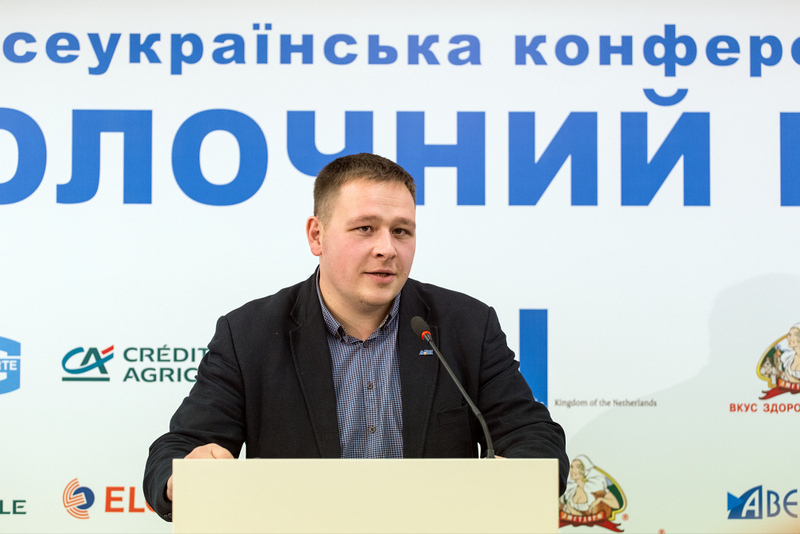 Despite the difficult conditions in dairy industry and in the country as a whole, Ukrainian dairies delegated their representatives for the Conference. 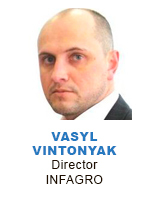 This year the VII Annual Dairy Business Conference organized by Infagro analytical agency and the Dairy Union of Ukraine, hosted delegates from 90 companies, 11 countries. 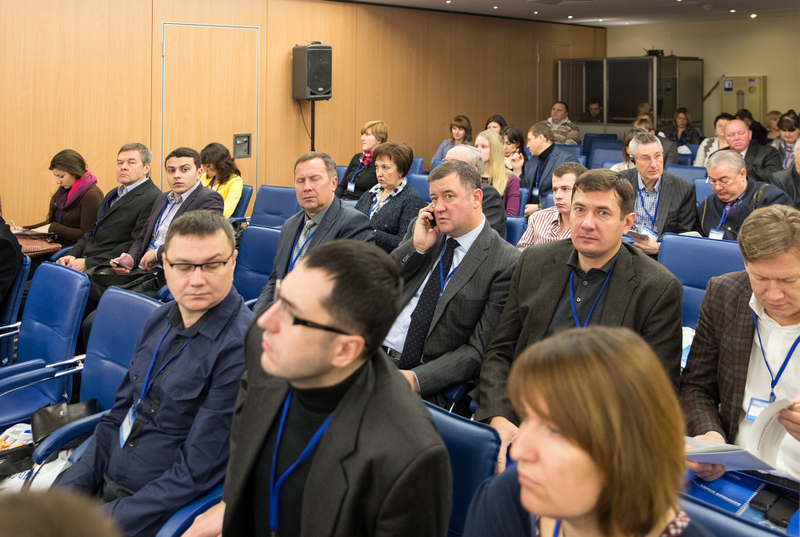 Traditionally, the first session was devoted to the situation in the dairy industry of Ukraine, Russia, Belarus and the world. 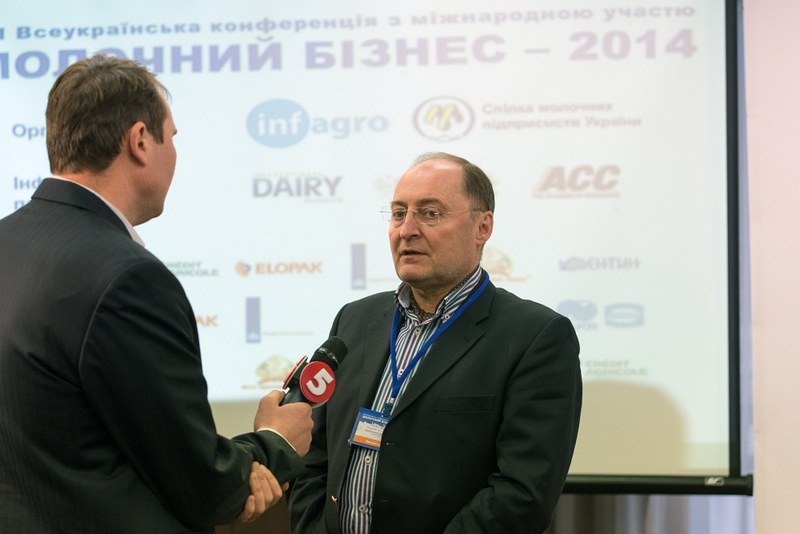 Vadim Chagarovsky, Board Chair Dairy Union of Ukraine, and Andriy Getya, Head Department of Animal Husbandry Ministry of Agrarian Policy of Ukraine, noted that the tendency to the increase of milk production, recorded in the past years, has been preserved, while the number of livestock continued to decline. 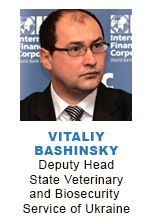 At the same time productivity of cows is growing. 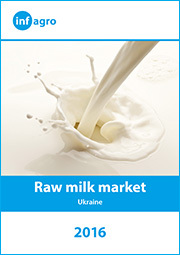 The share of quality milk produced in large farms is also growing. 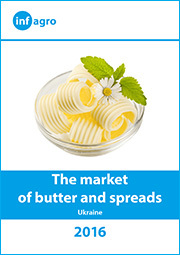 The structure of dairy production has changed, as well as the geography of exports. 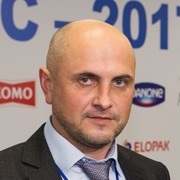 According to Andrei Getya, the main task of the dairy industry is to ensure the quality of raw milk and stabilization of the number of livestock. 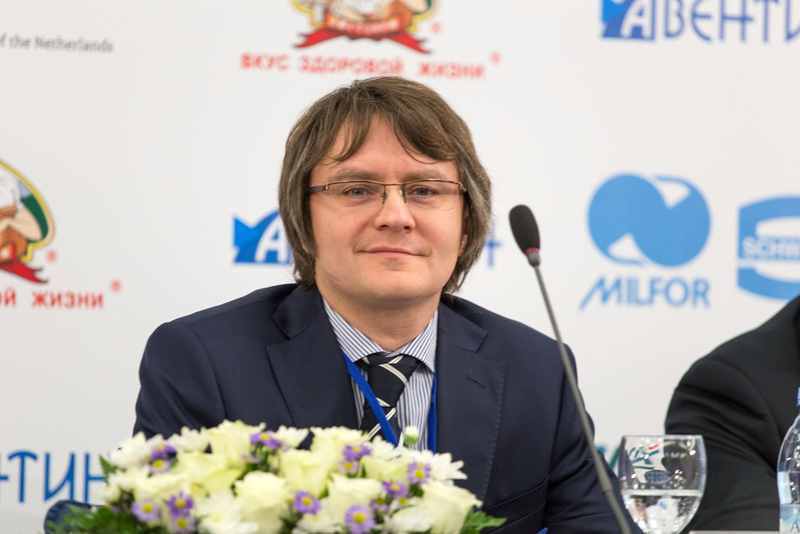 The forecasts made by Vadym Chagarovsky show that in 2015 milk production will get stabilized, and the increase of milk production will be possible if dairy cooperatives are created. 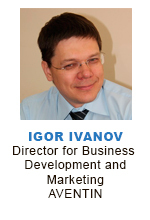 He also believes that the strategy for the sector as a whole should be expansion of exports and finding new markets. 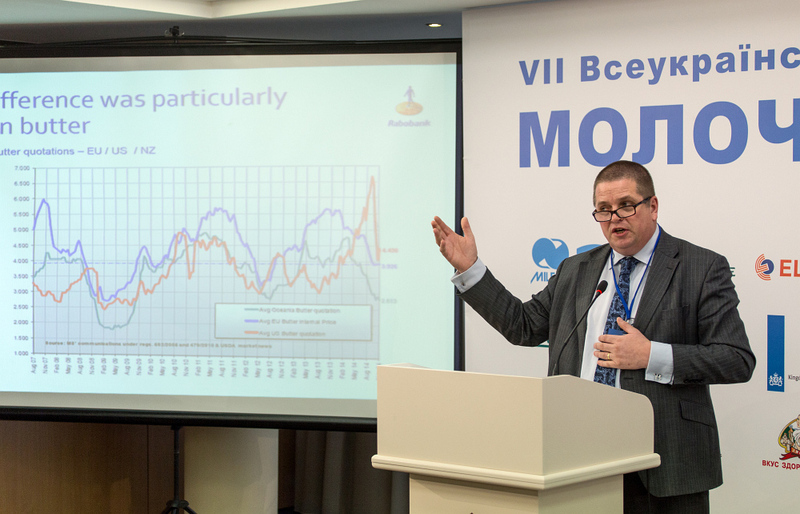 Speaking about the global dairy market, Kevin Bellamy, the Rabobank Lead Analyst Department Agricultural Markets, Netherlands, highlighted the key trends and forecasts, as well as showed the redistribution of positions in the global top ten players. 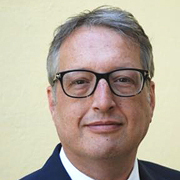 According to the analyst, Rabobank is very optimistic about the growth prospects of the global dairy market: the demand for dairy will grow, and there are several areas that can meet this demand. 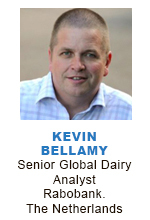 Kevin Bellamy stressed the need to consider the structure of future demand for production planning. 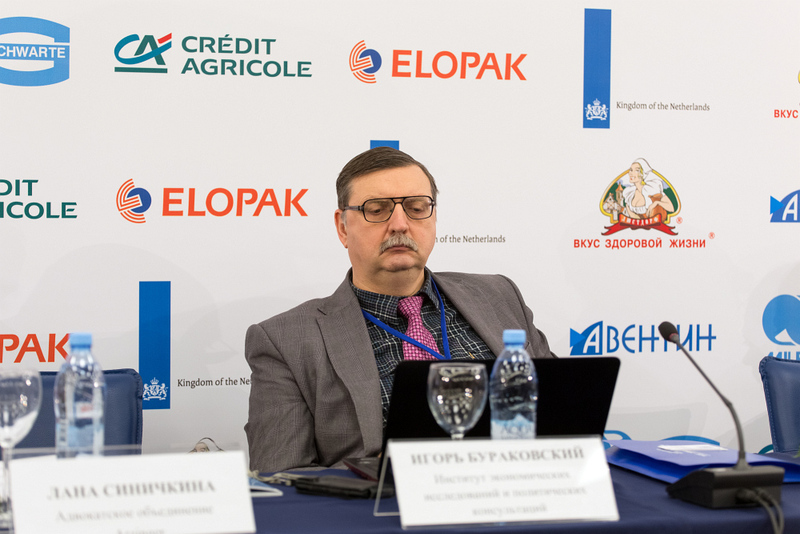 Yuri Shevchuk, Head Dairy Business in CIS, Olam International, and Mikhail Mishchenko, Chief Editor of the Russian The DairyNews were speaking on the dairy markets of Belarus and the Russian Federation. 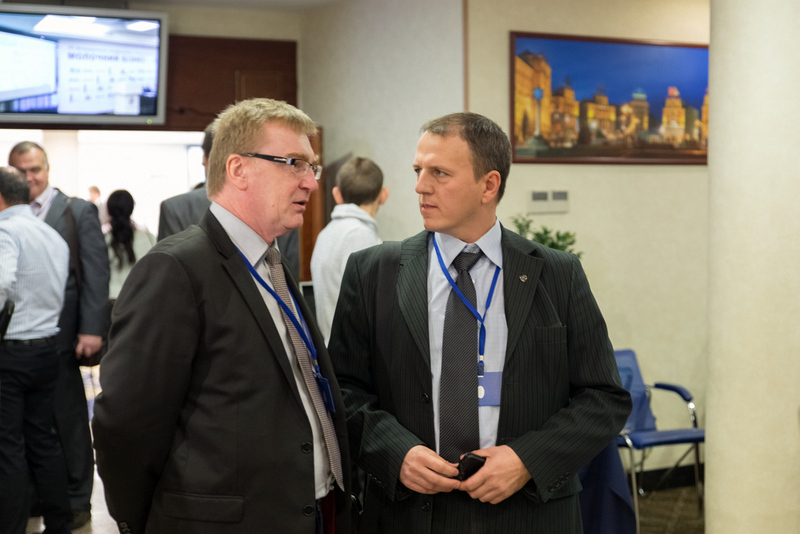 Apart from major dairy production and trade indicators in Belarus, Yuri Shevchuk spoke on the work of the Belarusian Universal Commodity Exchange and the mechanism of application of indicative prices. 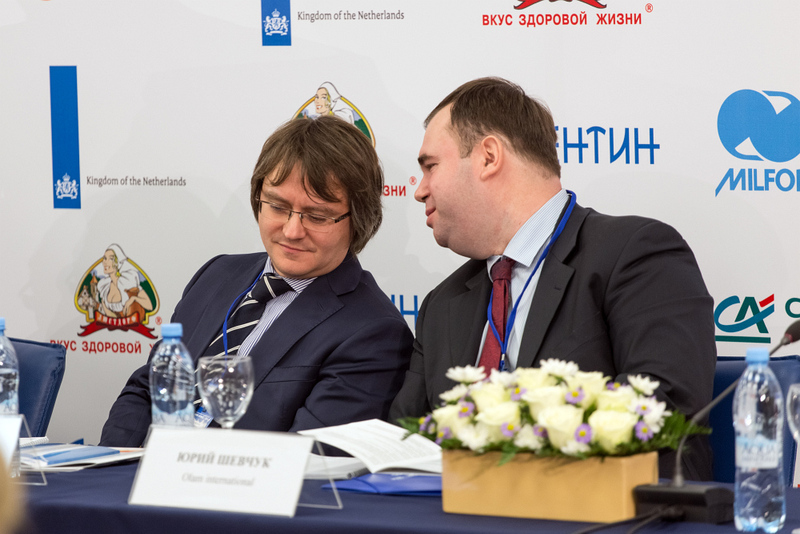 The delegates were also interested in the presentation made by Michael Mischenko and devoted to the dairy industry of Russia and the issues that concerned the consequences of the Russian ban on dairy import. 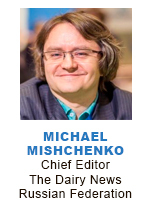 According to Michael Mishchenko, the loss of some product categories is insignificant for the market, but the loss of cheese and fats may cause problems. 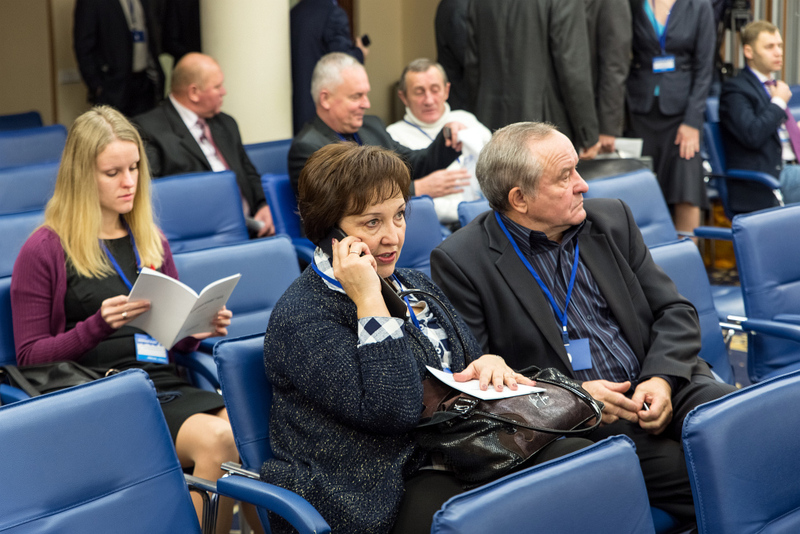 He also said that, apparently, it is hardly can be expected that Russia will lift the embargo in the coming years. 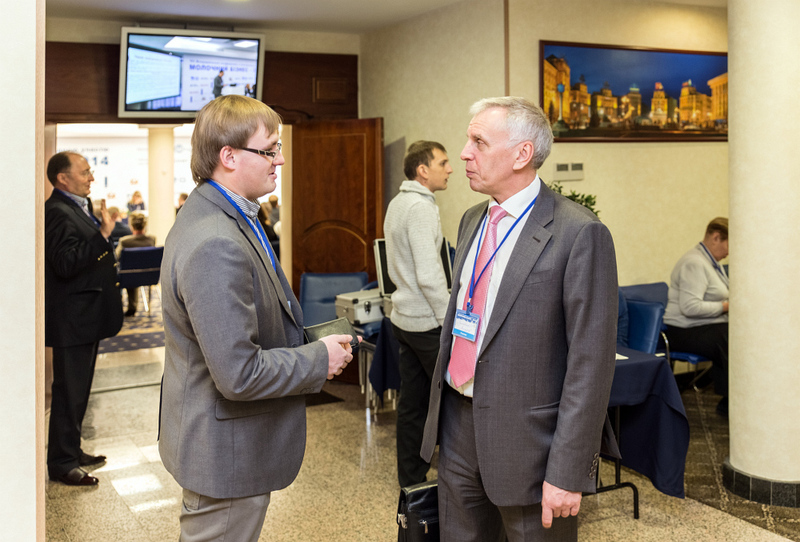 Now many small and medium-sized Russian enterprises are trying to make use of this situation and develop production, and large dairy farms are planning to build their own milk processing capacities. 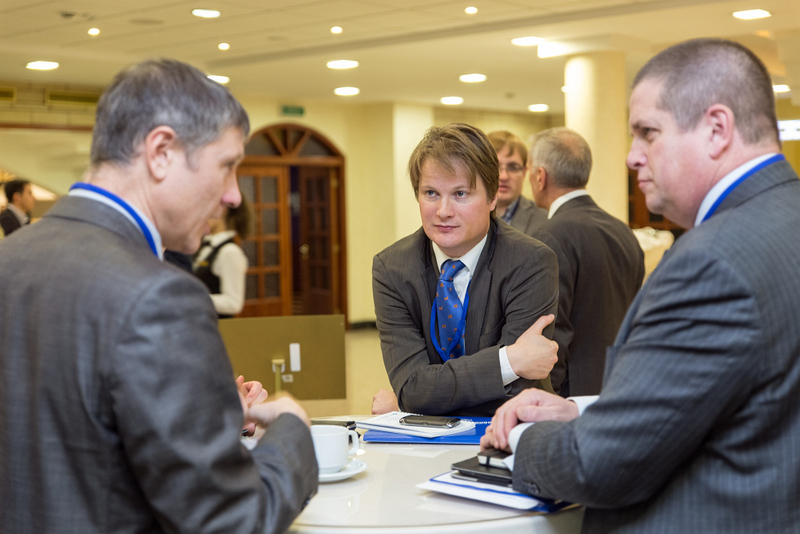 The prospects for trade relations between Ukraine and Russia were analyzed by Igor Burakovsky, Chairman Institute for Economic Research and Policy Consulting. 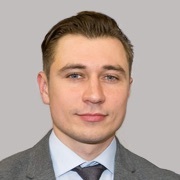 Having considered the possible consequences of the introduction of import duties by the Russian Federation, he believes that strengthening of non-tariff regulation can bring more harm, including complete prohibition of import of certain goods from Ukraine, than higher import duties. 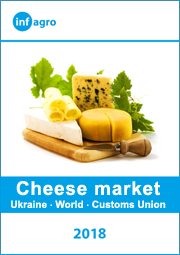 This year, a special emphasis in the Conference program was made on the opportunities for Ukrainian dairy products to appear on the EU market and other previously unexplored markets. 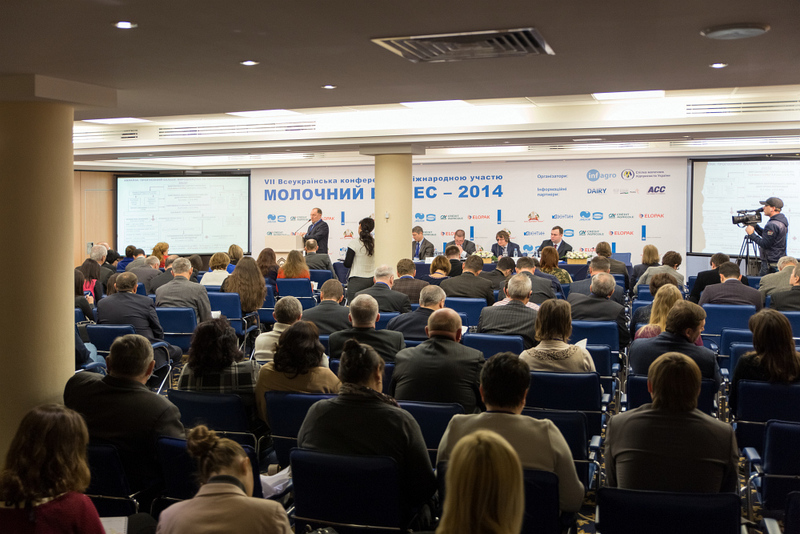 Several presentations were devoted to the state of Ukrainian legal framework on this matter. 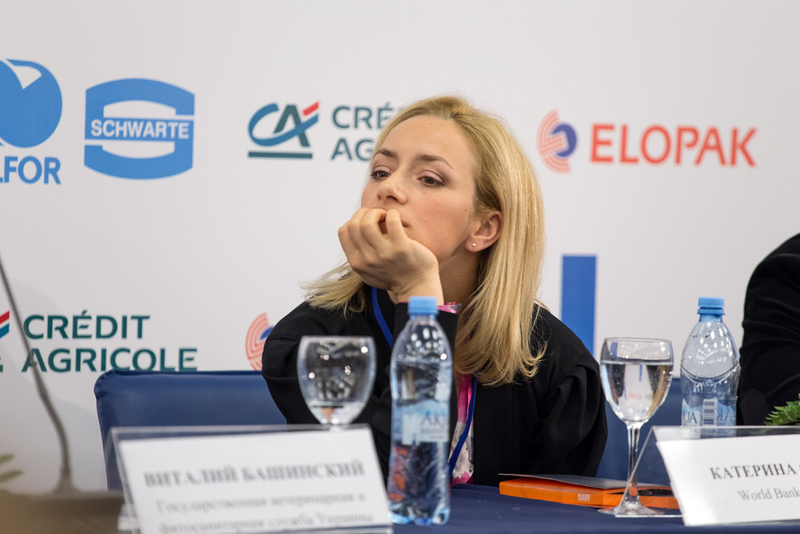 Lana Sinichkina, Partner, Head of Food & Drinks Practice, Arzinger Law Office, and Kateryna Onul, Adviser on Food Law, Trade and Competition, IFC, covered the topic from different perspectives. 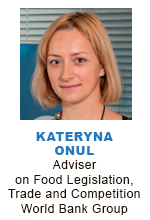 Kateruna Onul presented the results obtained in implementation of the IFC Program, built specifically for Ukrainian dairies to better prepare them for export of their products to the EU market. 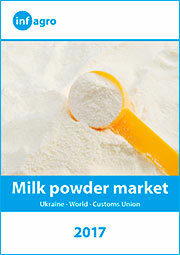 Traditionally, the topic of milk production was also covered. 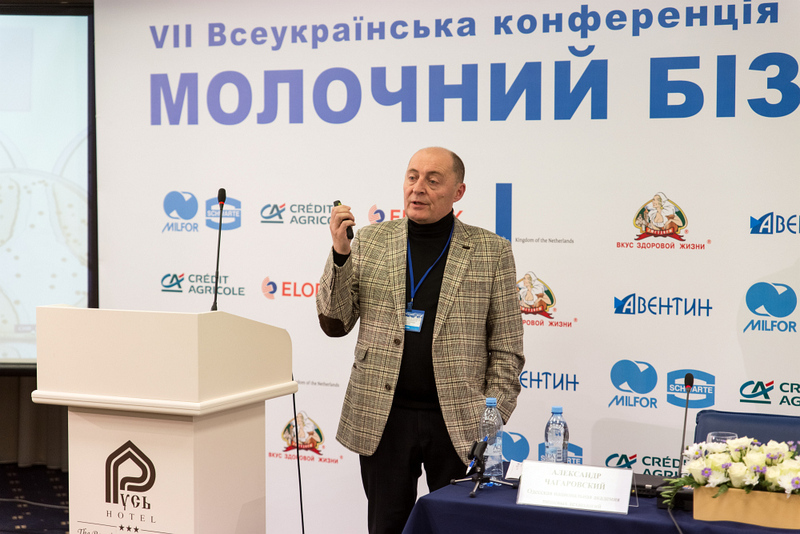 Lubomyr Dykun, President Association of Milk Producers of Ukraine and Anatoliy Shatkovsky, Milk Projects Manager, Danone, spoke on the problems in production of milk. 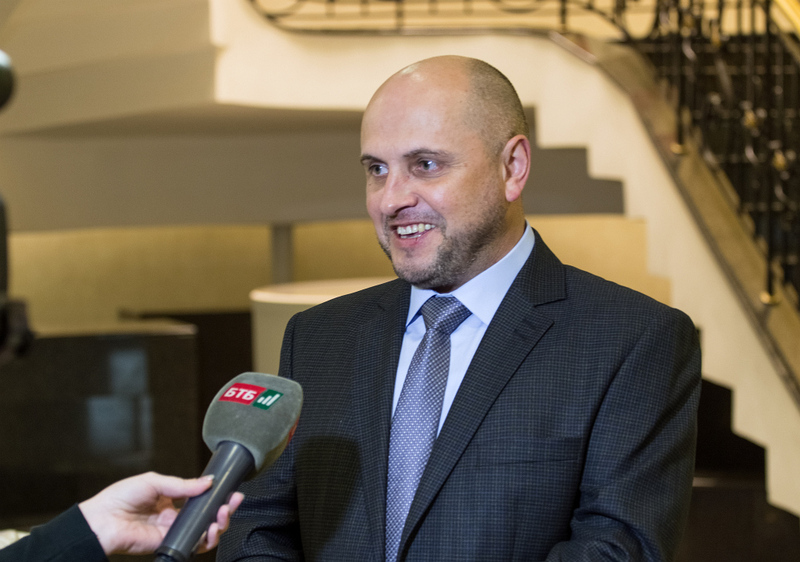 Lubomyr Dykun called for the dialogue between milk producers and dairy processors to make joint efforts in problem solving and take into account interests of both parties. 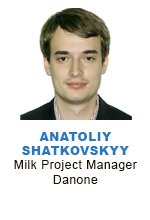 Anatoly Shatkovsky was speaking about the practice of establishing cooperatives by Danone. 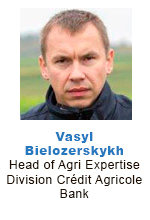 Vasyl Byelozerskykh, Head of Agri Expertise Division Credit Agricole Bank, showed how dairy sector financing is accepted by banks. 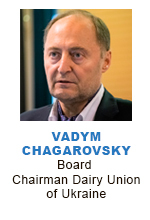 He was confident that despite the complexity of the dairy business, it was always possible to find the ways of cooperation. 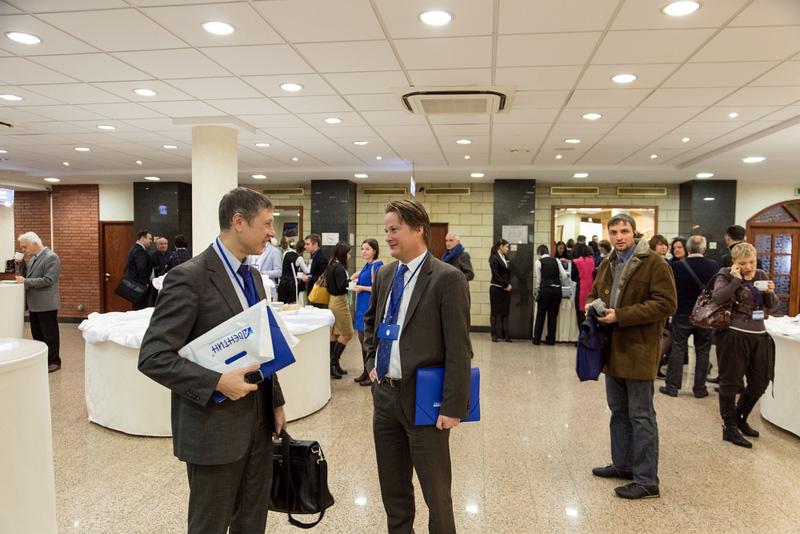 As one of the form of such cooperation he presented the partnership programs developed by Credit Agricole Bank. 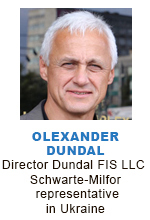 The presentation of Alexander Dundal, Director “Dundal FIS LLC” attracted much attention of the delegates, as he was demonstrating technical and economic advantages of the Schwarte-Milfor crystallizer that allows get quality whey and increase profit. 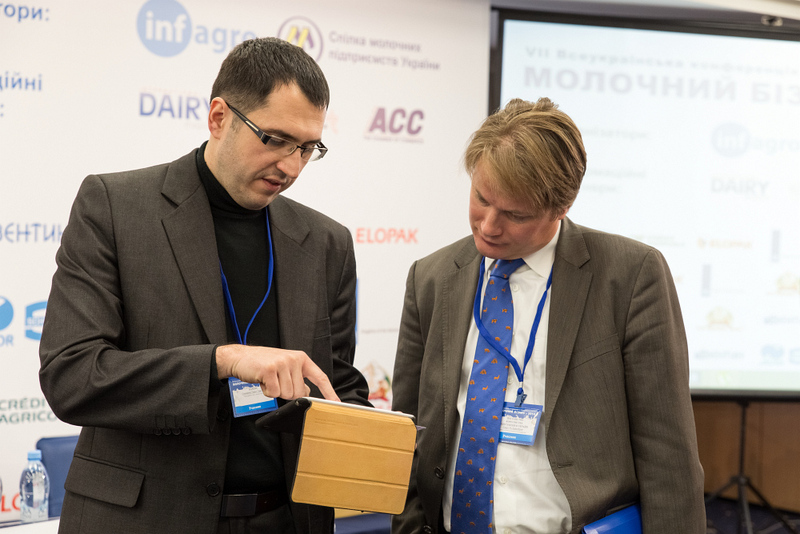 Igor Ivanov, Director for Business Development and Marketing, Aventin, showed how it was possible to reduce the cost of dairy production due to the use of certain types of packaging, developed by his company. 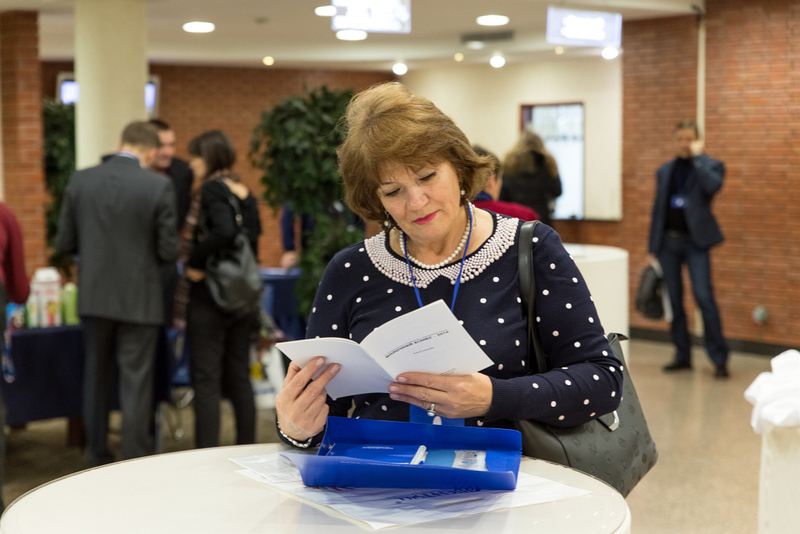 The delegates showed big interest in the presentation of Marina Kostromina, Senior Client Service Manager Continuous and Media Research Division, TNS Global Market Research. 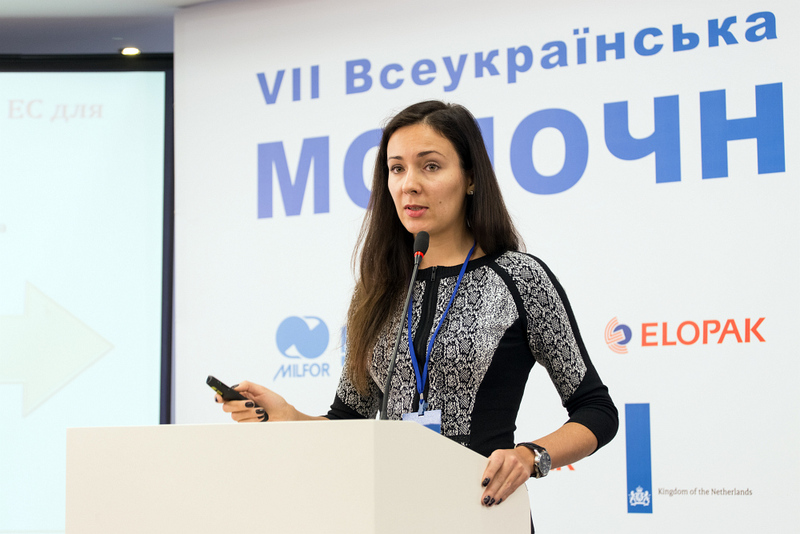 She presented how consumers’ behavior changed in 2014 due to the changes of socio-political conditions. 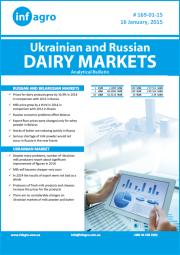 There was shown analysis of effectiveness of different communication channels for specific groups of consumers which provided marketing services of dairies with valuable information. 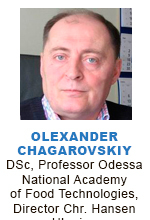 Alexander Chagarovsky, DSc, Professor of Odessa Academy of Food Technologies, drew attention to the problems of Ukrainian dairy science, which has been in deep crisis for many years by now. 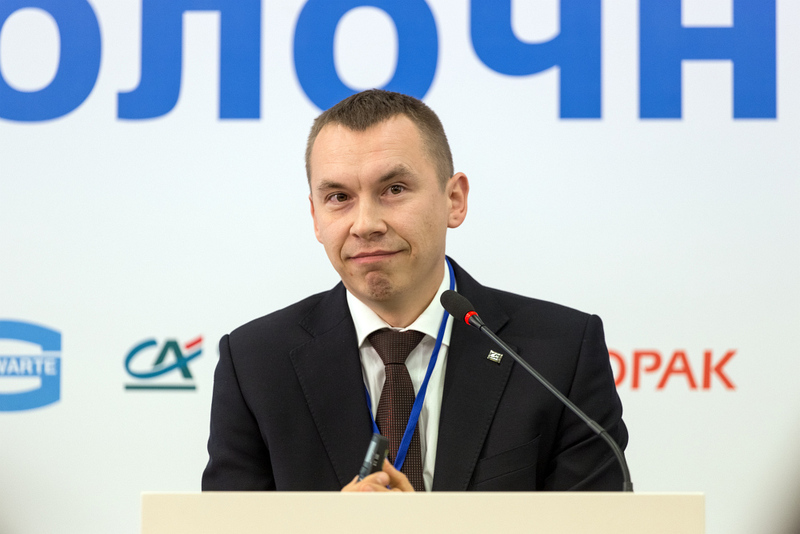 The presentation of Igor Balenko, Chairman Supervisory Board of “Furshet” chain of supermarkets caused questions and discussions. 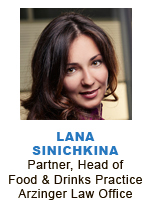 It is no secret that cooperation of dairy producers with retail chains has always been a difficult topic. 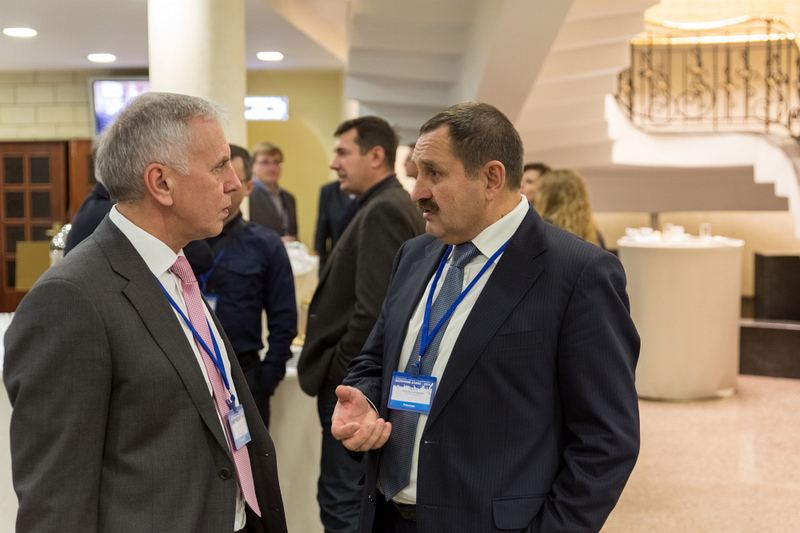 This was the first time when at the Dairy Business Conference the representative of retail chains outlined the vision for the future development of channels of distribution and logistics of dairy products. 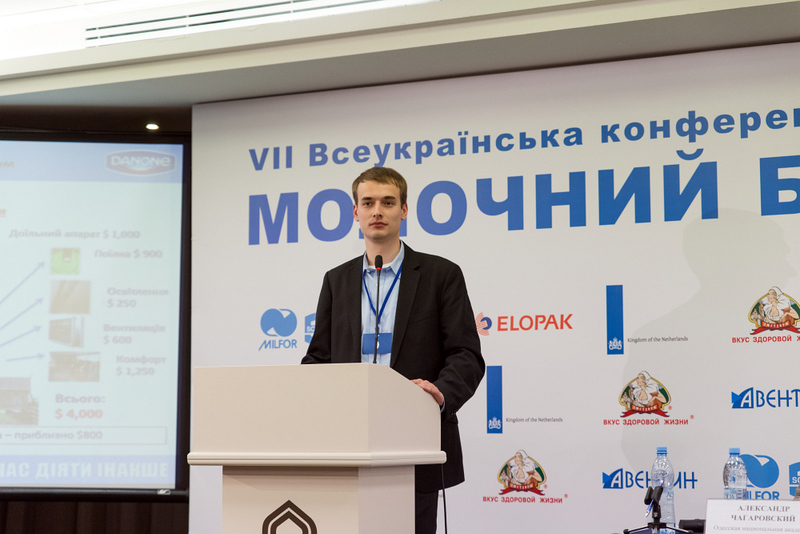 According to Igor Balenko, retail and dairy business in the future will have to establish joint logistics warehouses. 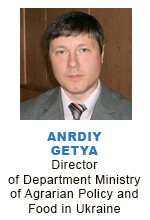 At the same time he stressed that transition to a centralized logistics will be very painful. 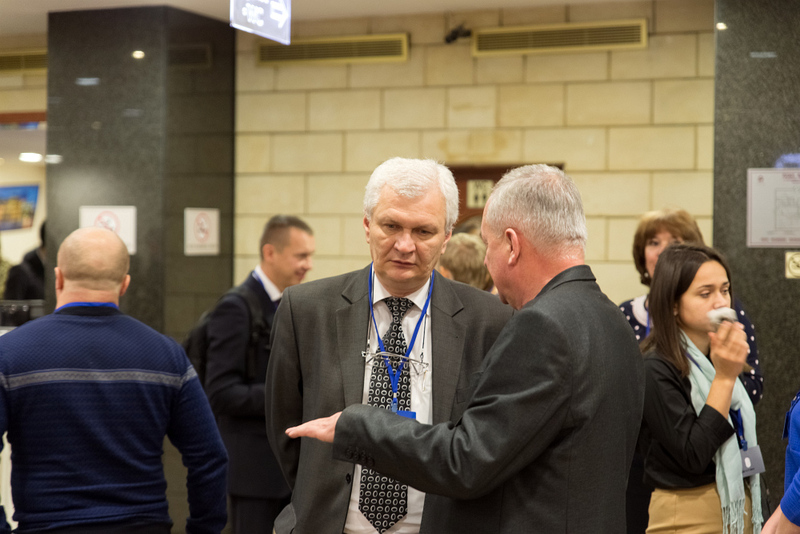 He urged the dairy producers to seek compromise and start working together to develop mutually acceptable solutions. 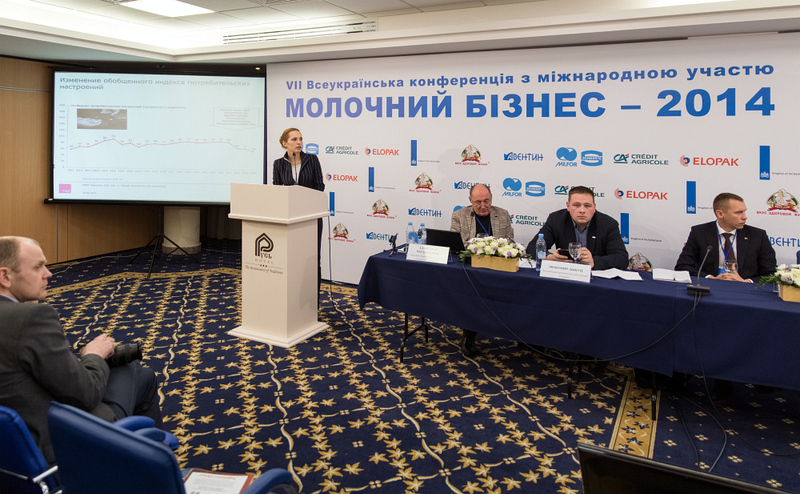 According to analysts and dairy practical experts, due to the simultaneous impact of several crises, Ukrainian dairy businessmen have to be ready for temporary deterioration of business climate. 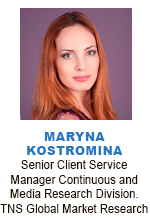 Within a year or two the situation will stay complicated. 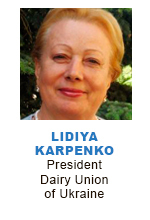 Milk prices will not be higher than those in the world. 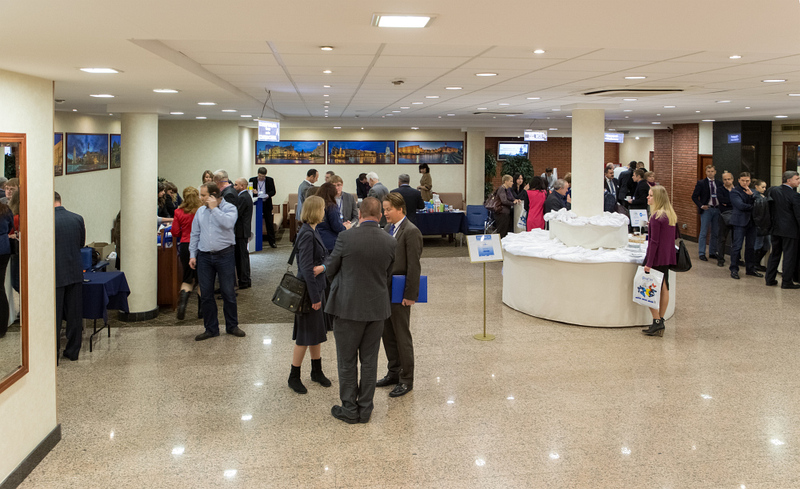 The problems with bank loans will grow. 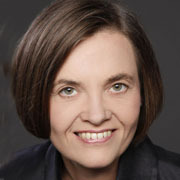 It will be difficult to extend sales to external markets. 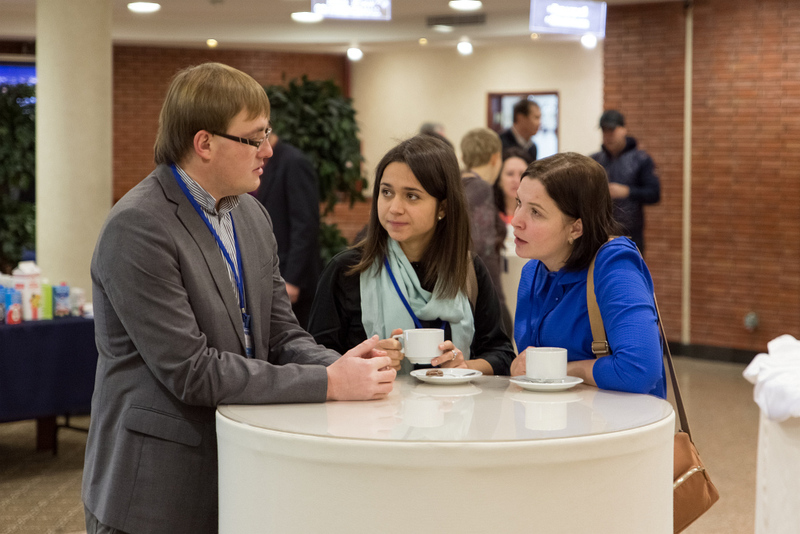 Given the challenges ahead, not everyone will be able to stay on the market. 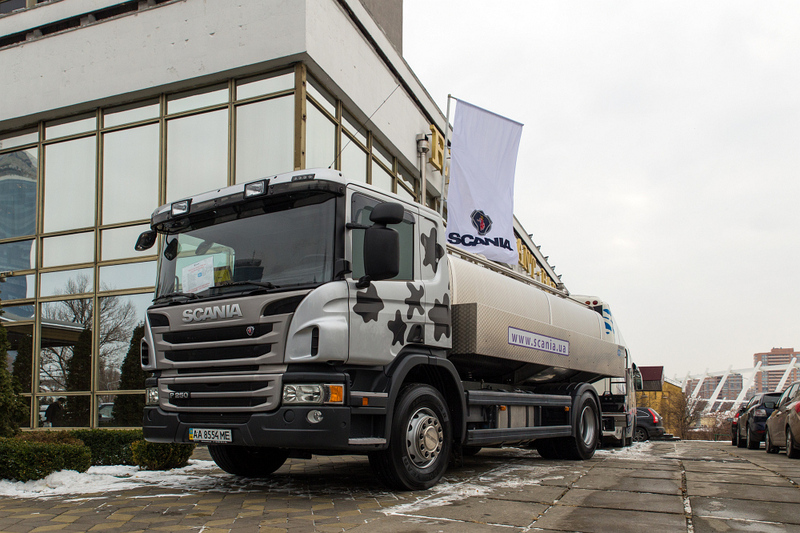 But those operators who do not cease to work actively in the crisis conditions, in the medium term will have a chance for the next round of development of powerful dairy business. 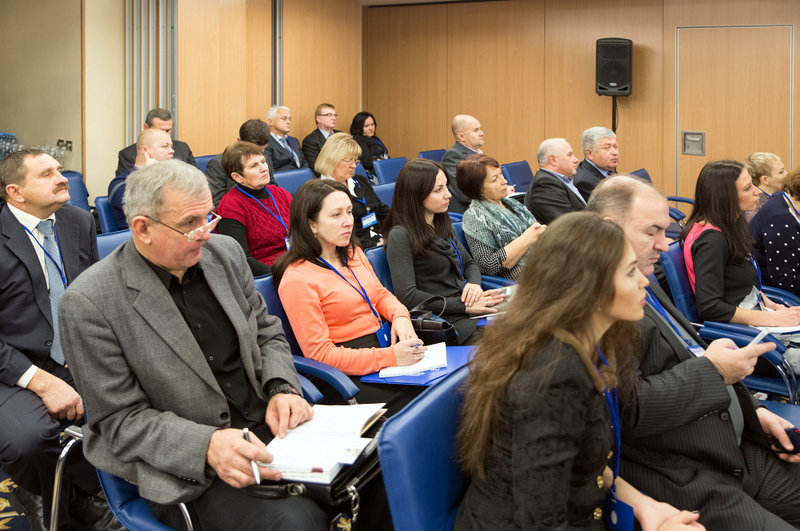 Different foreign programs will be launched in the country, foreign investors will come and credit resources will become available. 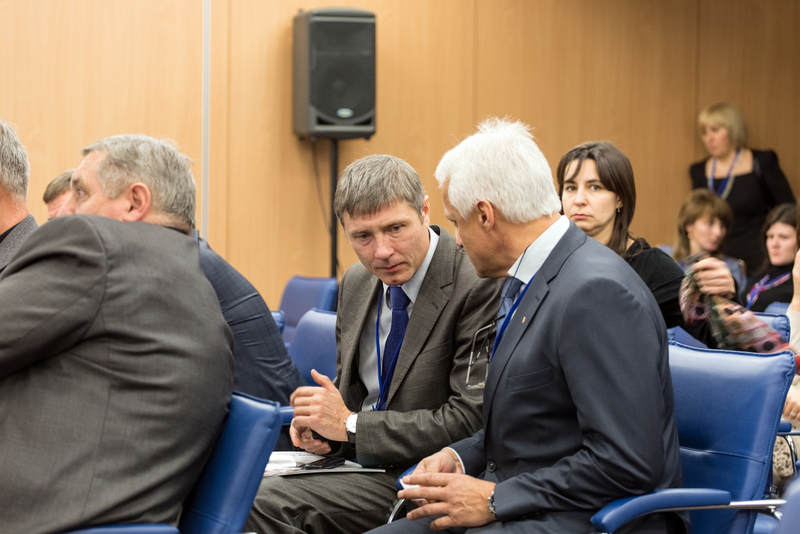 Like the previous year, Ukrainian participants of the Conference and their foreign colleagues noted a warm friendly atmosphere, openness of speeches, as well as the highly professional level of speakers.